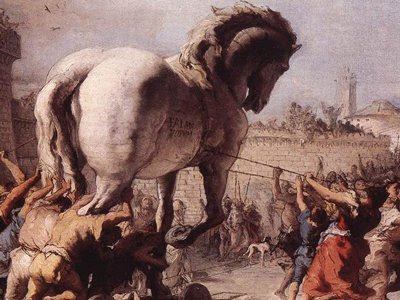 The story of the Trojan horse is well known. It involves battle, siege, subterfuge and conquest﻿. So not really subjects this blog is about ... except as an analogy. You battle with your emotional pain. Perhaps you had a horrendous childhood. For whatever reason and you have spent years "in siege" on that pain, seeing different therapists, trying alternative and conventional methods, and yet, nothing changes. You continue to sit outside the walls of your own inner peace because you have not yet been able to conquer your pain. My suggestion of a Trojan horse is this: start each day out with the intention to make three changes that day. So on three of the occasions when your mind goes to the pain, the events, the people, you remain steadfast to your intention and as you observe the thoughts of pain, you tell yourself that just for now, just with this thought right now, you will set it aside and consciously and with intention, you will focus with all your heart and mind on something else. Let that something else be beauty ... something that is close to you - perhaps in the same room, or outside your window. Focus on it. Become aware of it. Breathe it in (as in yesterday's post here), and allow yourself to feel that momentary peace inside. But do it twice more today. And tomorrow, your obligation is to add three more such moments to your day for a total of six moments. And, of course, the day after, you add another three, so now you have nine such moments. Continue adding until you have 21 moments per day. And then do it. Really do it. At least for one full month of 21 moments per day. Each time you 'complete' a moment, make a mark on a page to keep track. 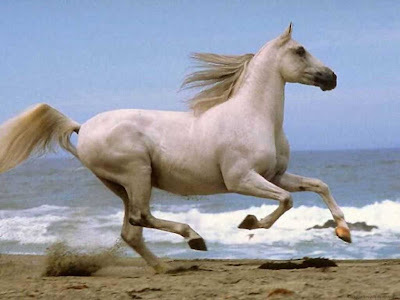 You will have created a Trojan horse. It will change your neural pathways. It will allow you to conquer the pain. And you will find peace.